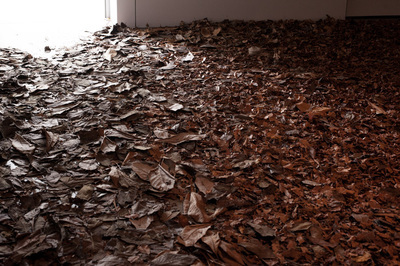 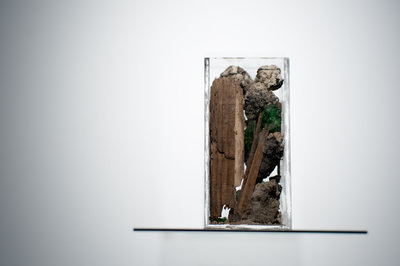 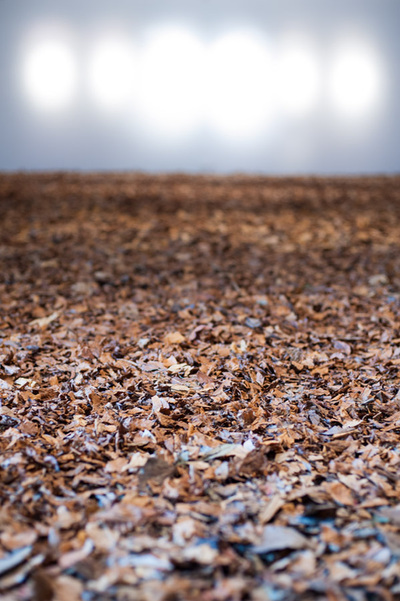 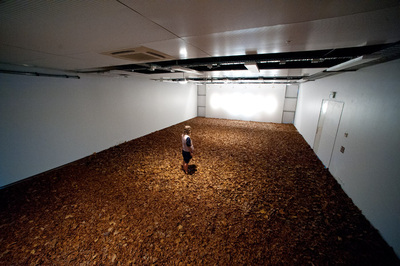 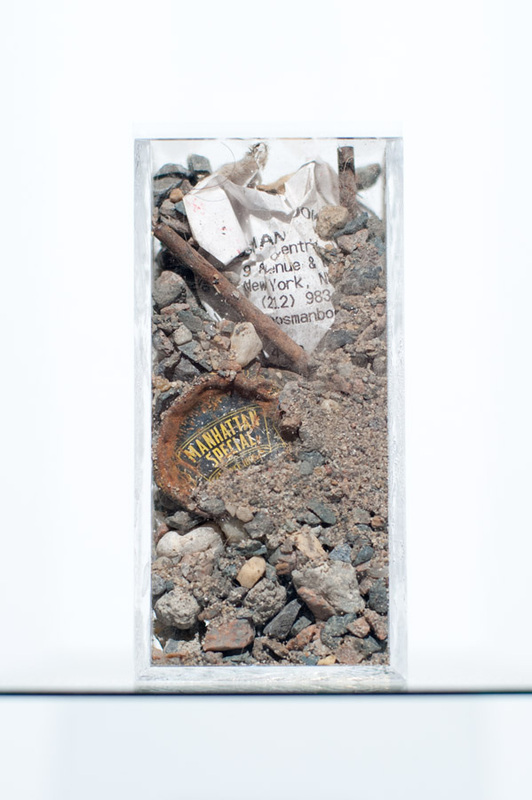 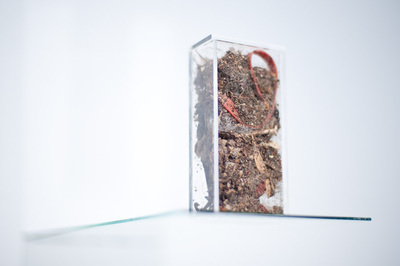 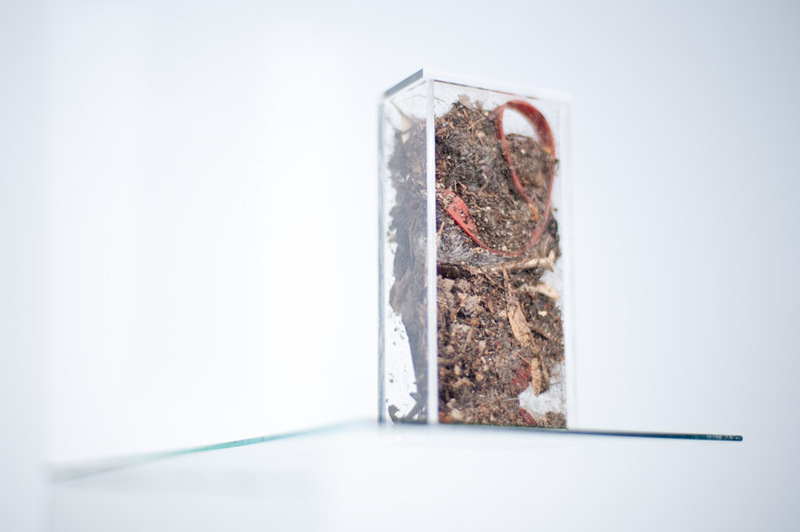 Approx 2000 cubic liters of dried autumn leaves, perspex, rubble, dirt, rubber band, human hair, dog hair, sticks, steel chain, plaster, safety glass, wood, gravel, receipt, nail. 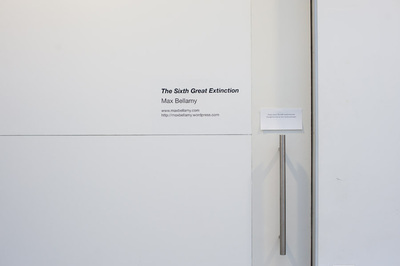 A solo installation at the Dunedin School of Art Gallery in November 2011. 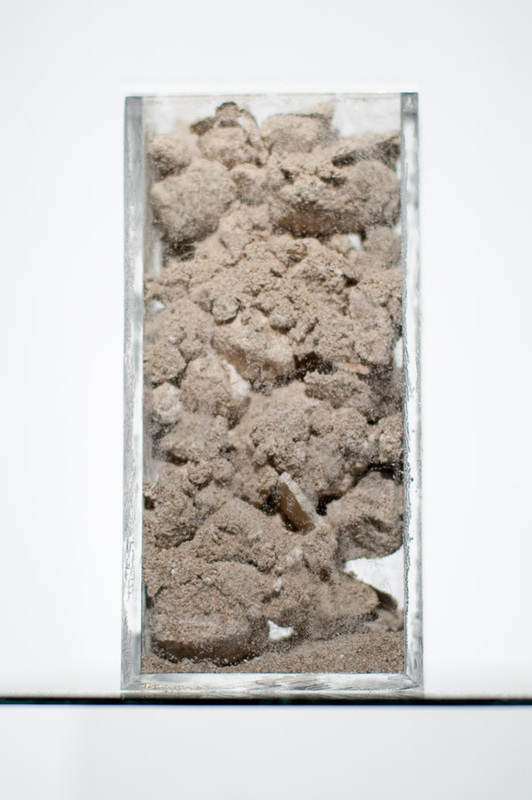 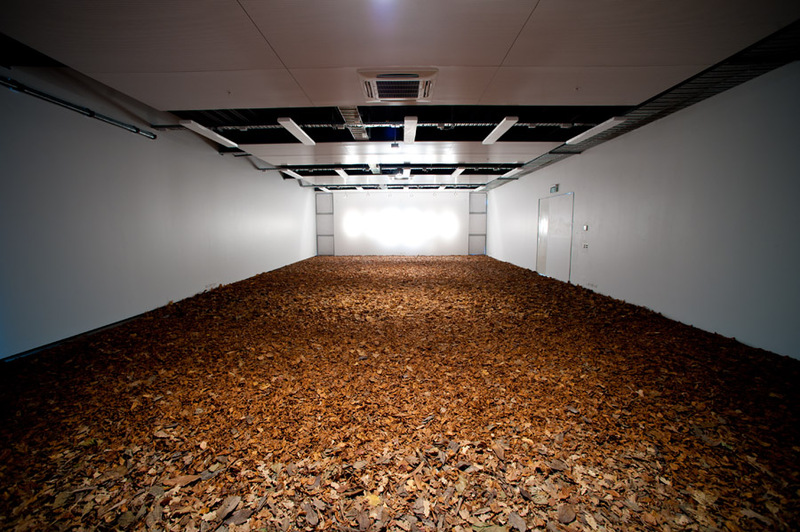 The cavernous white cube is filled with a layer of dried leaves collected six months prior. This was an effective displacement considering there were no dried leaves to be found outside the gallery at this time of year. 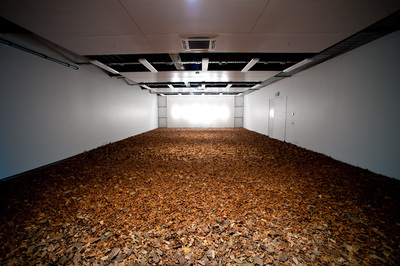 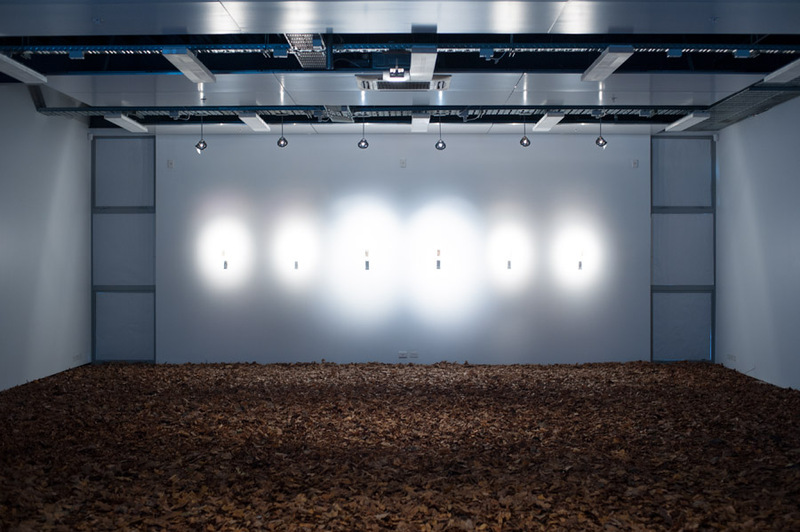 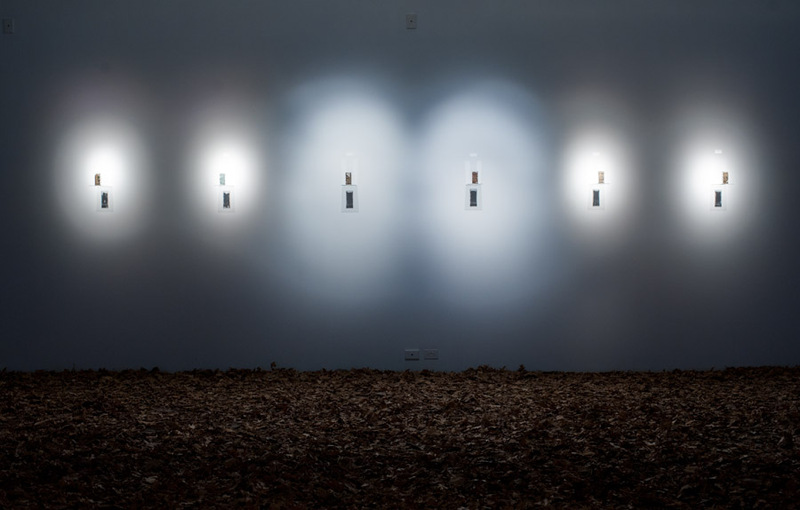 Sound and smell were activated as you enter the space and travel the length of the room over the carpet of leaves to reach the next point of interest in the room. 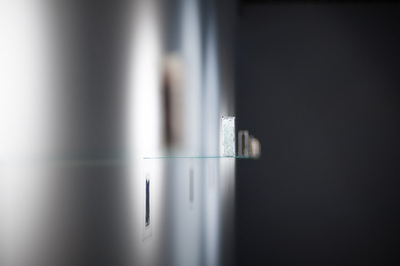 Six small custom perspex cases perch on delicate glass shelves. 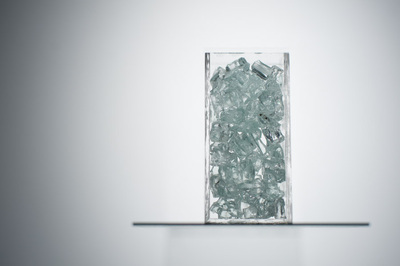 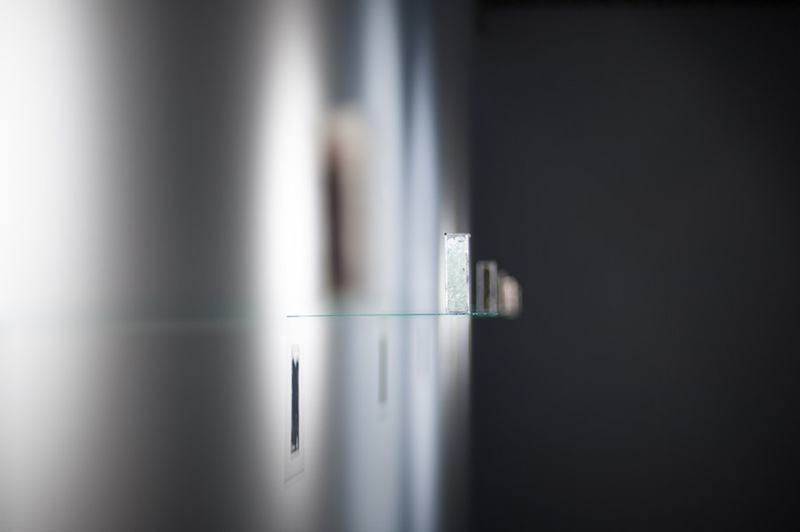 The display is minimal and carefully lit, the material in the cases has been vicariously collected from perceptual center-points all around the world.